Home prices rose month-on-month in September for the first time since April. The latest S&P/Case-Shiller home price index showed home prices rose 0.34% in September, roughly in-line with expectations for a 0.3% increase. 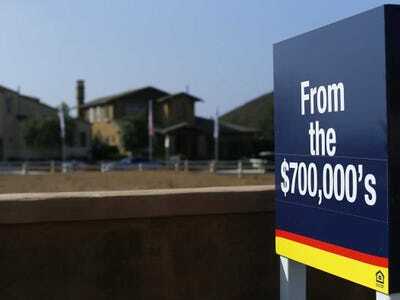 Year-over-year, home prices rose 4.9%, better than the 4.6% that was expected but down from the last report’s 5.6% increase. 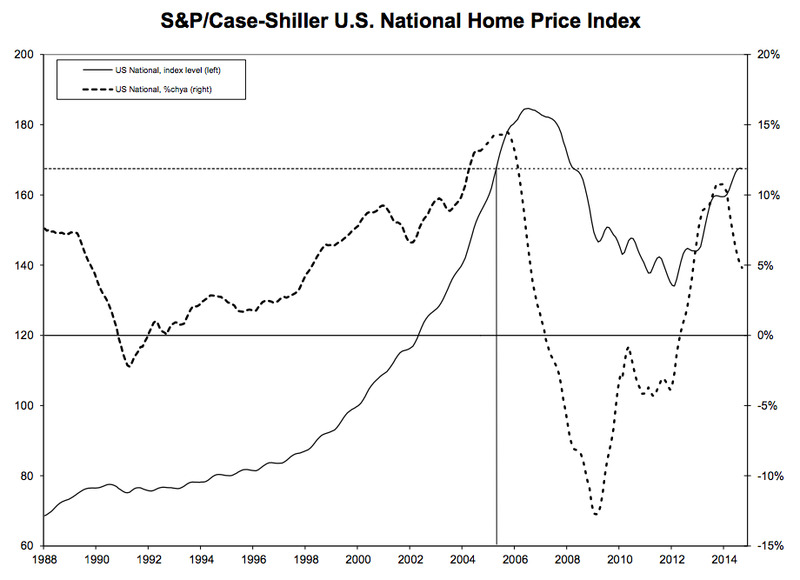 As of September, the average home price for the 20-city Case-Shiller index is back to levels seen in the fall of 2004, and still about 15% below the 2006 peak. On a month-on-month basis, 9 of the 20 cities in the 20-city composite index saw lower monthly figures while 9 posted increases. Prices in LA and New York were flat. Washington DC saw a 0.4% decline, the largest of all 20 cities. 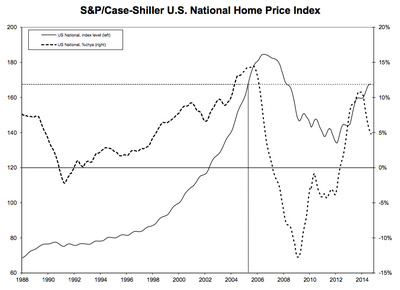 This chart from S&P shows the current levels for the Case-Shiller report.